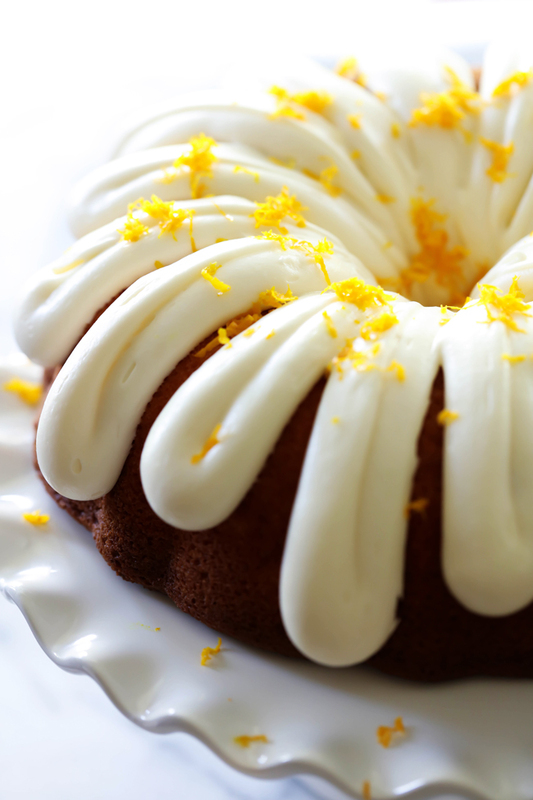 This Orange Creamsicle Bundt Cake is so moist and has such a refreshing flavor. 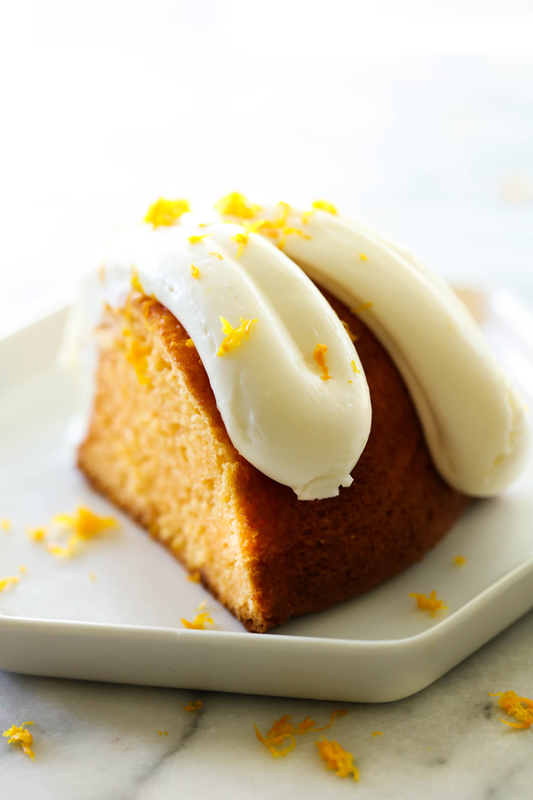 It is loaded with a zesty orange taste and topped with an incredible cream cheese frosting. Can you believe summer is wrapping up?! School is starting back up soon, if not already, and fall recipes will soon be popping up all over the place. I am grasping onto those delicious summer flavors for as long as I can, Zesty Orange being one of those. Pair orange and cream together and you have a match made in heaven. Then when I transform it with my favorite bundt cake base recipe, and you have one out of this world dessert! 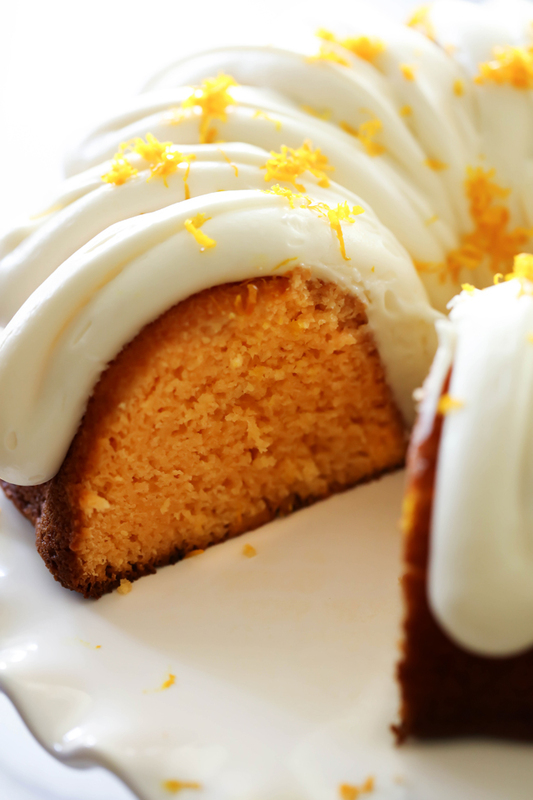 This Orange Creamsicle Bundt Cake is silky smooth and moist and has the most incredible texture. It is topped with an outrageously yummy cream cheese frosting that compliments the zest so perfectly! Even though this recipe would be fantastic any time of year, don’t let summer pass you by without giving this amazing cake a try! It will be a hit wherever you go! In a large bowl, mix all cake ingredients together for 3 minutes on high. Pour into a greased and floured bundt pan. Bake for 35 to 40 minutes or until a toothpick comes out clean. Let sit in pan for 5 minutes, then invert onto a cooling rack. In a medium bowl combine cream cheese, powdered sugar, and beat on high until creamy. I tried you're recipe and it wasn't done even a few minutes after the time. I have had this trouble with other bundts. Can you help me understand why near the cone isn't done and if there is a better way to check doneness? What was done treated great though.